Many thanks to all my friends and family who are being so good to me and so supportive. 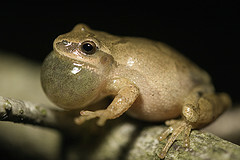 But special thanks to Concetta who called me at the hospital from the side of the road near a pond so that I could l hear the Awesome Spring Peepers while I was recovering! Thanks also to Jeremy Martin who might not know that I used his picture here (again)! This entry was posted in amphibians. Bookmark the permalink. I wish you a speedy and effortless recovery! Take it easy until you are fully recovered. Wishing you all the best. I read your blog every morning Jennifer 🙂 Funnily enough I actually tried to call you at the Audubon today but ended up talking to Jeff instead because you were off; now I know why. Hope you are back on your feet taking lots of great pictures soon. Thanks all. Felt pretty lousy yesterday. But I was able to sleep well last night. I’m hoping today goes better! I appreciate your healing thoughts. Yes, my wishes are added to the others’ for a speedy recovery. I’m sure you have plenty to keep yourself busy with (like publishing books, editing photos, writing a fantastic blog…)–until you can be out and about. Glad you’re rid of it! Good friend to help you to hear those peepers from your sickbed. Wow – that sounds like quite an operation. Hope you have a quick recovery so you can catch migration! Hope you are feeling better already and can get out and photograph wildflowers! Take good care of yourself. I hope you recover quickly. I figure you must be doing pretty well since you’re blogging already! That’s always a good sign. Hope you have a speedy & uneventful recovery, Jennifer! Isn’t it great that there are some parts of us we can do without ?? I am glad it is not part of our brain — I will settle for a wornout gall bladder anyday. Good luck on your recovery. Oooooo I had mine done too-several years ago. Fact #1: I’m running way behind in reading your posts. Fact #2: You are still posting. Conclusion: Your recovery has gone well — and that is great news.